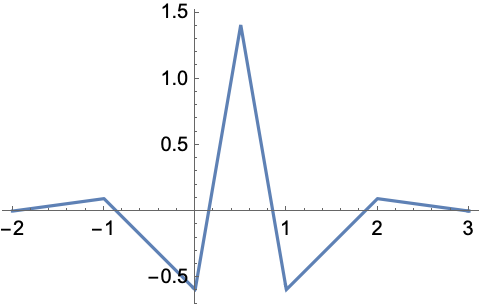 represents a biorthogonal spline wavelet of order 4 and dual order 2.
represents a biorthogonal spline wavelet of order n and dual order m.
BiorthogonalSplineWavelet defines a family of biorthogonal wavelets. 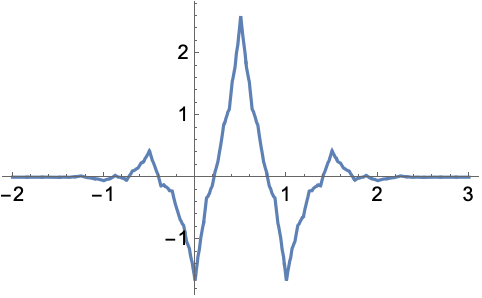 BiorthogonalSplineWavelet[n,m] is defined for positive integers m and n where m+n is even. 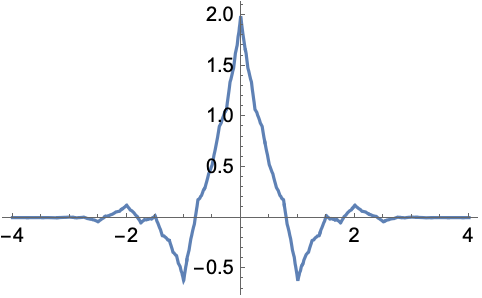 The scaling function ( ) and wavelet function ( ) have compact support. 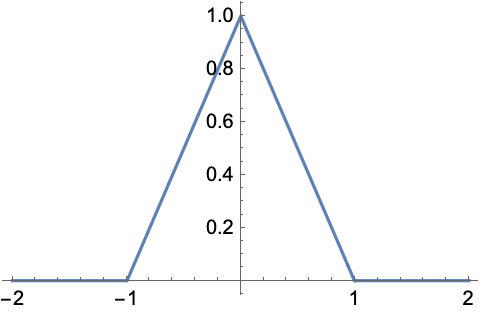 The functions are symmetric. BiorthogonalSplineWavelet can be used with such functions as DiscreteWaveletTransform, WaveletPhi, etc.